Downtown Dogs of Frederick! Presented By Little Pink Toes Pet Photography! 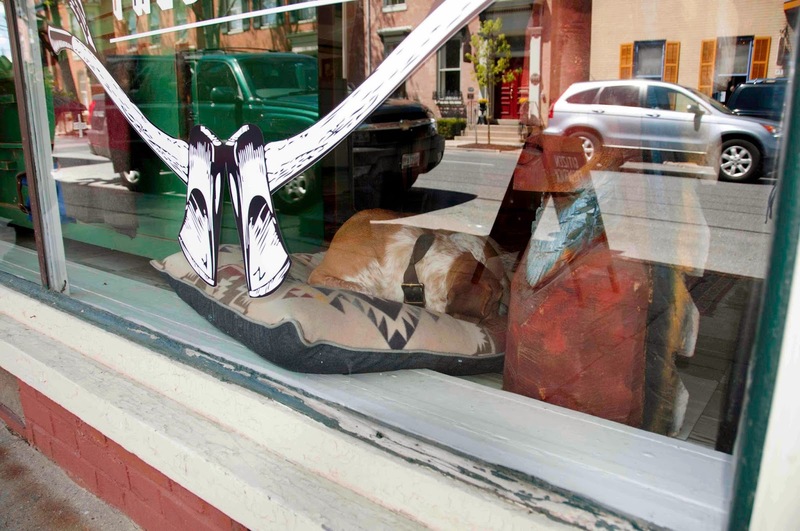 : How Much is That Doggie In the Window? Hi Friends! 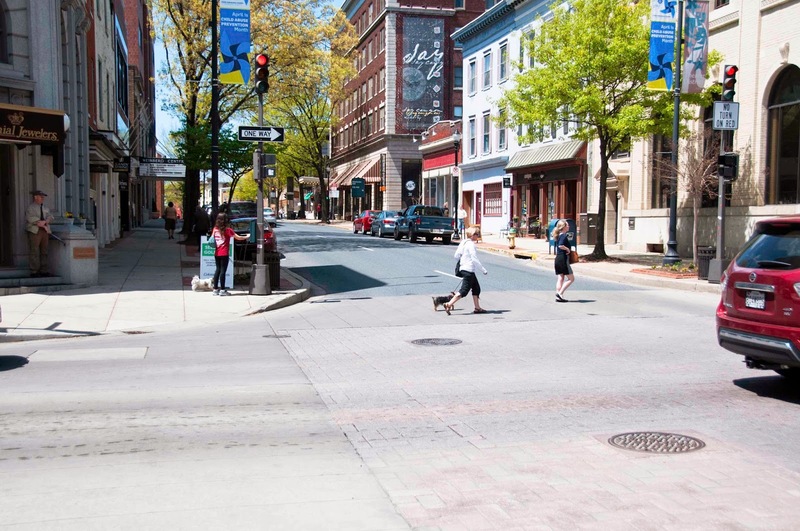 Wow, downtown Frederick is in bloom! It is so beautiful. Aaaaaachoo! Sorry...allergies. So glad to be out and exploring in Frederick this week. There are a couple of new places on my list that I want to see in the next few weeks, and I just like to take in all the fabulousness of downtown Frederick. Paws In The City, Frederick, Maryland. On Wednesday, my first stop was Paws In The City. 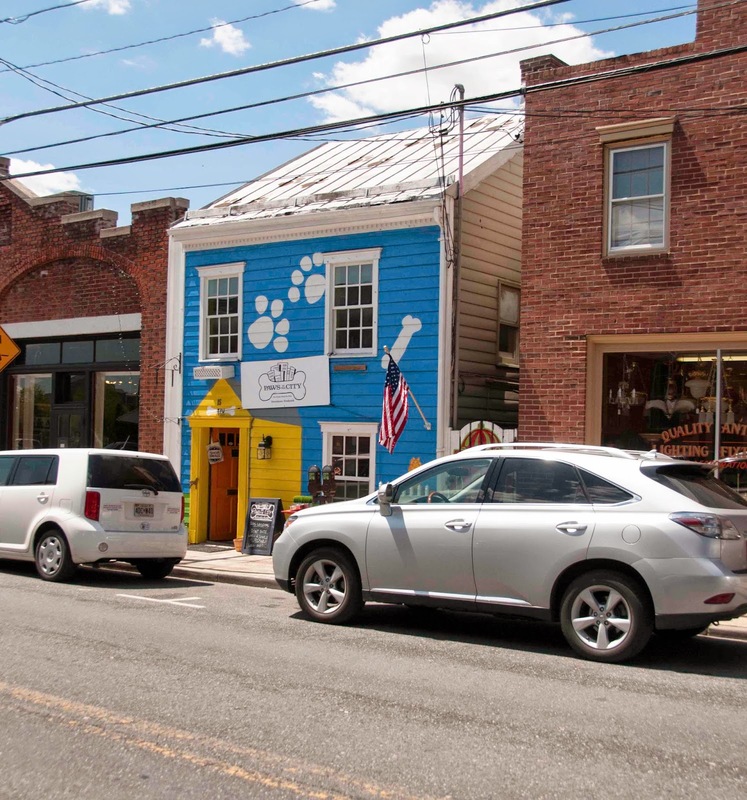 Frederick dogs - and cats - and their humans will recognize this place by the outside, but inside, there's a whole new dog in town! I met with Andy, who owns the shop with his wife. Wow, what a difference they have made inside! So open and light now, and the vibe and people are friendly and welcoming. 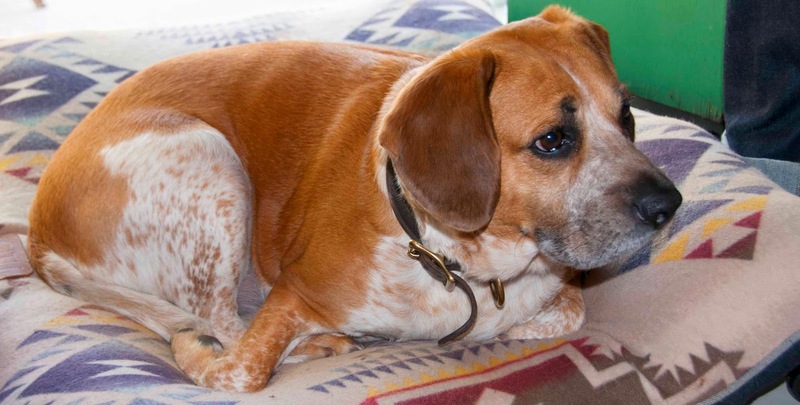 Andy's vision is to provide "An Urban Oasis for Pets". He has a great layout of nutritious food and treats for dogs and cats, leashes and collars, beds, and toys. 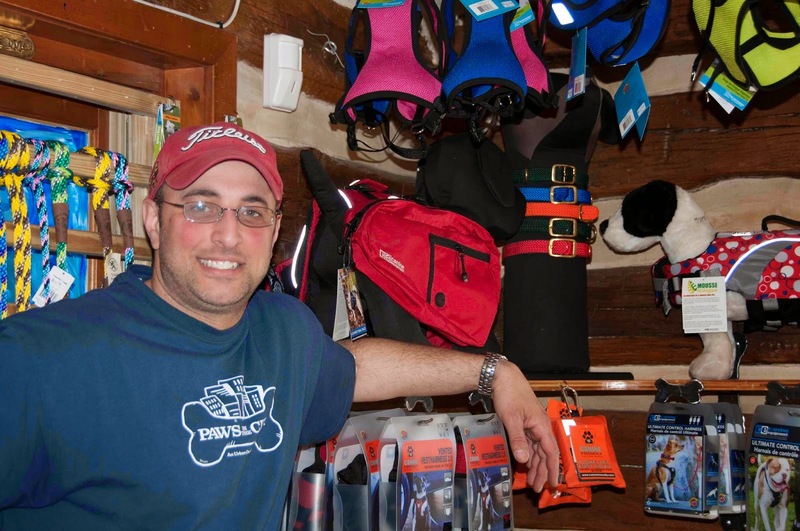 But Andy is most excited about providing dogs with premium outdoor gear for when they take their humans rock climbing, hiking, canoeing, camping and other fun outside activities. He is proud to be the new, exclusive shop for Ruff Wear in Western Maryland. This is serious gear for serious outside enthusiasts. You need to check this out! Frederick dogs, bring your human and walk on over! Tell Andy, I sent you his way! 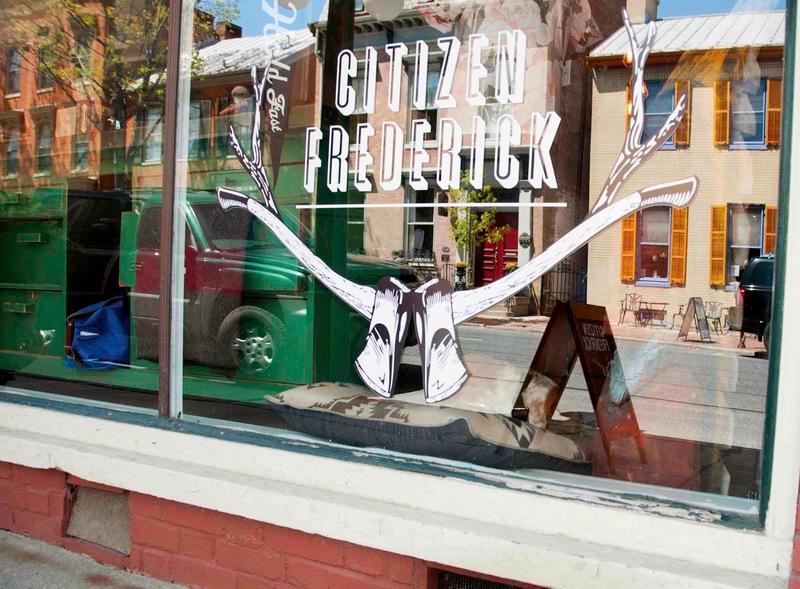 Citizen Frederick, Downtown Frederick, Maryland. See Skip in his window seat bed? As I was strolling down East Patrick St. towards Market St. I passed a shop that I knew about, but had never been in before. Of course I had to go in because of the doggie in the window! Who could resist! So in I went to see what Citizen Frederick was about and to meet that doggie in the window! Antonio introduced me to his friend Skip - aka #SkipTheWonderdog. Skip is a rescue from the Frederick shelter and Antonio says that he is the best friend he's ever had! Awwwww, Antonio and Skip won my heart right then! See him? He's right there in the window! 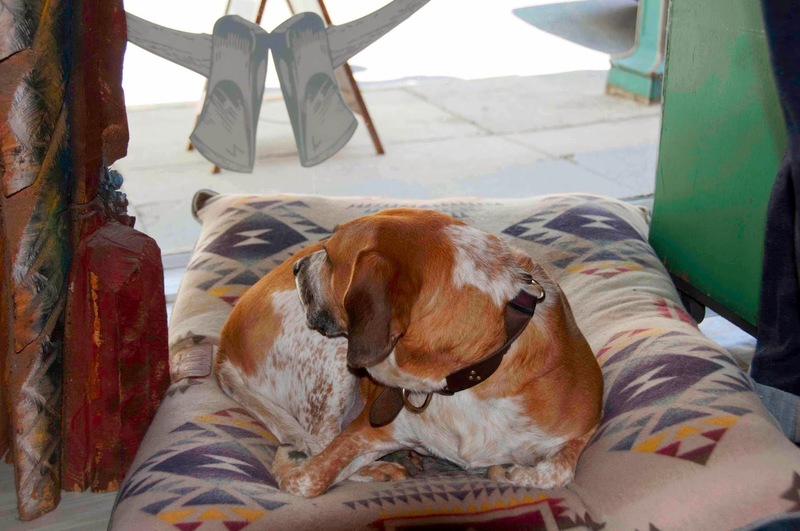 When Skip is not cozy in his bed in the window, he greets customers, both canine and human. Skip has doggie friends who come to visit and play - running around the shop. Skip took me by the paw and showed me around the shop which features what I would call elegant casual menswear. Citizen Frederick's tag line is "Work Hard - Live Well" and men can certainly do that in Antonio's wares. I am definitely bringing my husband here! There is no other shop like this for men in Frederick. Although I knew about Antonio's shop, I had no idea about his upstairs barbershop! The barbershop offers, haircuts, hot towel shaves and beard trims. And...there is beer!! I'm bringing Husband (that's what I call him!) this weekend for a haircut and a beer. The barber also provides haircuts for women. I just may try her myself! Stop in and pat Antonio and Skip on the head! You'll be glad you did! Was that a treat bag opening?! 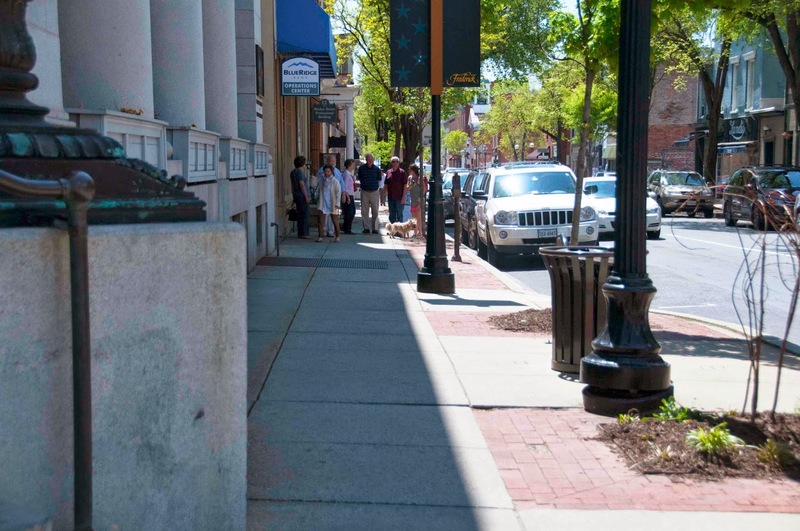 Downtown Frederick is always a pleasantly bustling place and there are always lots of dogs walking their humans! It is a feast for the eyes. Come visit soon!